San Diego‘s very own CRSSD Fest is less than a month away, and CRSSD fans couldn’t be happier. Returning to the heart of San Diego for the dates of March 2-3, the bi-annual festival will once again be held in San Diego’s Waterfront Park. 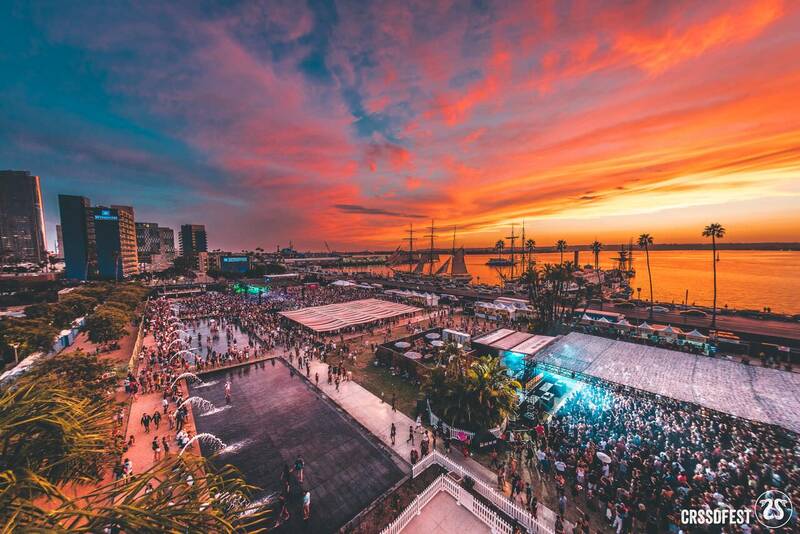 Comprised of a mix of ocean views, grassy landscapes and numerous water fountains, the Waterfront Park is the perfect playground for CRSSD-goers both new and old. Earlier today, the finishing touches to next months festival were finally released, making this already stellar lineup, that much better. Making their way onto the lineup are none other than the German-based house duo Booka Shade. In addition to this, CRSSD attendees will also be able to catch a rare performance from David August. August is a live avante-garde experimentalist, who will also be previewing his forthcoming album for the first time here stateside. Both Digitalism, and Classixx, will be bringing their unique sounds to the Waterfront park as well as the ever eclectic Waze & Odyssey. Speaking of eclectic, Doc Martin has also made his way onto the lineup. He has come to be known by his ever growing fanbase for his unique and genre bending style of DJ’ing. From the techno side of the lineup, their announcements have more than enough to make you smile. Techno tastemakers like B.Traits, Monika Kruse, and Sahar Z have all also been added to the lineup. It should be remembered that these mentioned artist are only additions to the already knockout lineup, and that Odesza, Justin Martin, Lane 8, and many many more have already been booked. 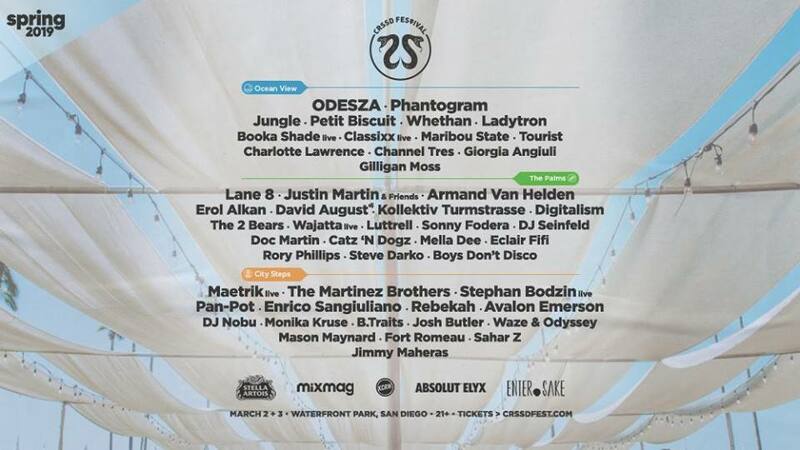 CRSSD will be once again returning this March 2-3 to San Diego‘s Waterfront Park. For more information be sure to check out their website here. Tickets will sell out, so be sure to pick up yours here. This a 21+event. Next articleWhat If EDM Took Over The Super Bowl Halftime Show? Music buff. Fitness enthusiast. I like it all, but I love that 4 on the floor. Progressive, House, & Big Roooooom. I enjoy sharing new music with people.